Webb & Co. Return to the Capitol Arts Theater for WW-V! It is definitely getting to be that time of year again when all thoughts turn toward lovely Downtown Bowling Green, Kentucky, and round Five of Webb Fest. This year’s Webb Fest is even more momentous in that it is the fifth year of the Fest and the Band’s 25th year of being “the Band”. Last year’s event was such a success that we decided to make Bowling Green the Home of Webb Fest and do it again like last time. The Beautiful Capitol Arts Theater will once again be the venue. The date is Saturday, October 2nd 2010. The show will start kind-of-promptly at around 8pm. As we did last year, folks who buy their tickets in advance will be able to enter the Capitol Theater earlier - by 6pm. The doors will open to box-office ticket buyers shortly before the show begins. There will of course be drawings, door prizes, give-a-ways, SWAG, meet and greets, Scattergun, and MUSIC, MUSIC, MUSIC. And of course, the event planners reserve the right to pull some last minute surprises (there may be a couple of huge surprises this year) to make the entire event something to remember in the annals of Wilderian Folklore. Tickets this year will be $7.50 each. $5.00 of that amount will be fully redeemable in SWAG purchases at the SWAG table, which will be located in or near the lobby of the theater. The remaining $2.50 will go to help offset the promoters’ costs for putting on the event. There will be specially made “Webb Fest V” shirts on sale by the band commemorating the event as usual. 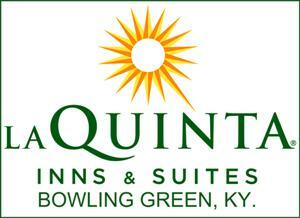 Our friends at WDNS-D93 FM radio in Bowling Green and the La Quinta Inn at 1953 Mel Browning St., Bowling Green, KY - phone (270) 783-0083, will be partnering with us again this year as well as the Capitol Arts Theater. Details on a special Webb Fest room rate at La Quinta are discussed here. Tickets are on sale now! To order your tickets, place your order at WebbFanFest2010(at)WebbWilder.com. Your tickets will then be mailed directly to your home. Order your tickets early and reserve your room at the La Quinta Inn, as we plan on this event selling out sooner than it did last year. Click the logos to go their respective sites!